A small event, like a goal scored, can have a profound effect on the future. The butterfly effect, while a theory in physics, has come to stand as a metaphor for life in a world that is chaotic in every aspect. Throughout history, every action has triggered a reaction in some manner. When we apply this to football, the results are all the more apparent. The beautiful game can be broken down into seamless moments that build up into a few actions. A pass, a tackle or a solitary loss in concentration can change the game in an instant. That, in turn, can shape the future of all involved – players, managers, fans and the wider club. A moment can trigger ripples that last longer than the time it took to create them. It’s the nature of life, sport and everything between the two. The match is deep into extra-time. The players are flagging, the legs dreary, the minds losing focus, but this is a European Cup final. It is in the dying moments of the additional half-hour where, no matter the result, there will be one player from either side who’ll either return home a hero or be cast as the villain. The what-if rhetoric can be too much to bear at times. The very thought of broken dreams can be a failure too hard to overcome. When you’re at the door of triumph, it’s easy to get caught up in thoughts of heroism, forgetting that you still need to walk through to reach the holy grail. The European Cup final in 1974 will be remembered more for the last six minutes than the 114 that preceded it. And rightly so. Atlético Madrid have made the final of Europe’s premier club competition three times in their history – two of which were in recent years. In 2014, they took the lead in the 36th minute, subsequently defending with gusto and energy, before Real Madrid equalised three minutes into injury time. The 4-1 final scoreline, though harsh, will remain in ink for the standing of time. Two years later, Atlético played Real in the final again. This time they conceded first but found the resolve to equalise in the 79th minute. The game went to extra time and penalties where, once again, Los Rojiblancos contrived to succumb to their most bitter of rivals. It could be said that luck wasn’t on their side in both finals – some might claim that luck is a myth, that champions create their own luck – but to lose through such means was hard to accept, even for the neutrals. Read | Was the European Cup better than the Champions League? Unlike the recent past, their first European Cup final loss was of their own making, with no suggestion of bad luck. 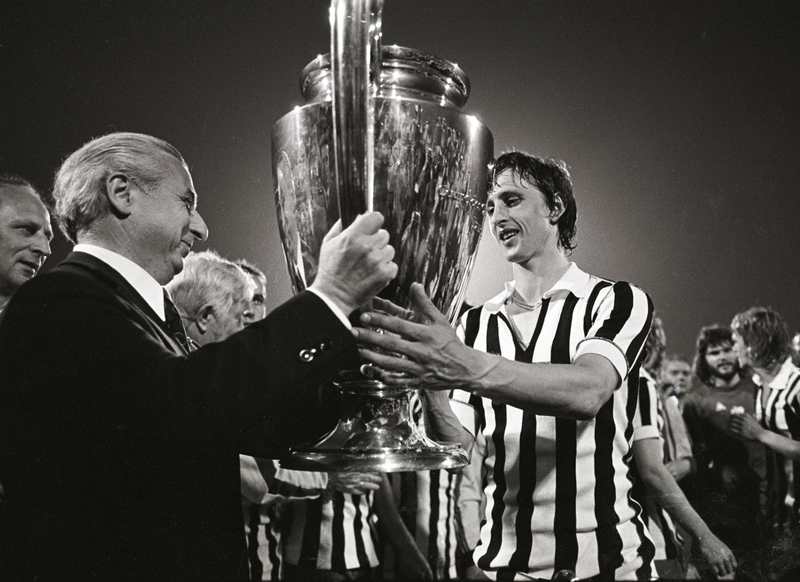 By 1974, the European Cup was almost two decades old and at a stage where it was no longer an unknown quantity but a tapestry of stories waiting to be told. At the time, Germany’s influence has been minimal, with their only notable foray coming through Eintracht Frankfurt making the final in 1960, where they conceded seven goals to Real Madrid’s star duo of Alfredo Di Stéfano and Ferenc Puskás. 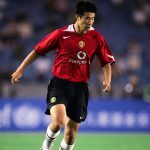 Fourteen years later, Bayern Munich had the opportunity to break the duck – and a pervading sense of inferiority at club level. Destiny seemed to align in their favour given the early elimination of continental giants like Liverpool, Juventus, Benfica and defending champions Ajax. This was the era of the knockout competition – the concept of group stages wouldn’t be introduced until much later. This format provided no second chances beyond the two-legged tie, resulting in upsets and underdog tales of legend. It meant that Bayern’s ties against Åtvidaberg, Dynamo Dresden, CSKA Sofia and Ujpest – on paper, all winnable – would be tricky. Bayern and Atlético were polar opposites. The Germans had scored 20 goals in four ties, conceding 14. The Spaniards, meanwhile, had nine to their credit, but it was their miserly defence that was their key to success. In eight legs they kept seven clean sheets, conceding just two – both to Dinamo Bucharest. Against Galatasaray, they toiled and were lucky to find a late winner. The flipside to their frugality was their ultra-aggressive style, something that came to the fore during the first leg of their semi-final against Celtic. If Celtic hoped to make use of home advantage, Atlético blew them away with heavy tackling and cynical fouls. Juan Carlos Lorenzo, Los Rijoblancos’ manager, has been in charge of the Argentina team that kicked everyone but the referee in England in 1966. It was the ultimate form of pragmatism, with Atleti taking a credible 0-0 draw back to Madrid. But it came at a cost: Rubén Ayala, Rubén Díaz and Enrique Hernández were sent off in the second half, reducing the Spaniards to eight men. It wasn’t just the numerical disadvantage but the manner of the tackles that led to such disdain for Atlético. Doğan Babacan, the referee, had dished out 10 yellow cards before the reds came out, with the Turk exerting minimal control on a game that desperately cried out for it. It was dubbed a night of shame in Scotland, Spain and beyond – and justifiably so. Indeed, Díaz would later state that he “should’ve been sent to jail for those tackles”. Despite that, Atlético improved greatly in attack in the second leg, winning 2-0 and putting on another stout defensive display to seal their passage into their maiden European Cup final. Atleti’s style of play is often associated with clubs struggling in their attempts to emerge out of another’s shadow. Real Madrid were the aristocrats of Europe – even if they hadn’t won the title in eight years – while Atlético were considered just another club in the Primera División. Resorting to the dark arts was both a way of bridging the divide and proving they were different to their rivals. For all of that, though, the final remained 0-0 for a long time. Bayern started well, but if dominance doesn’t translate into substance, one can quickly drop onto the backfoot. 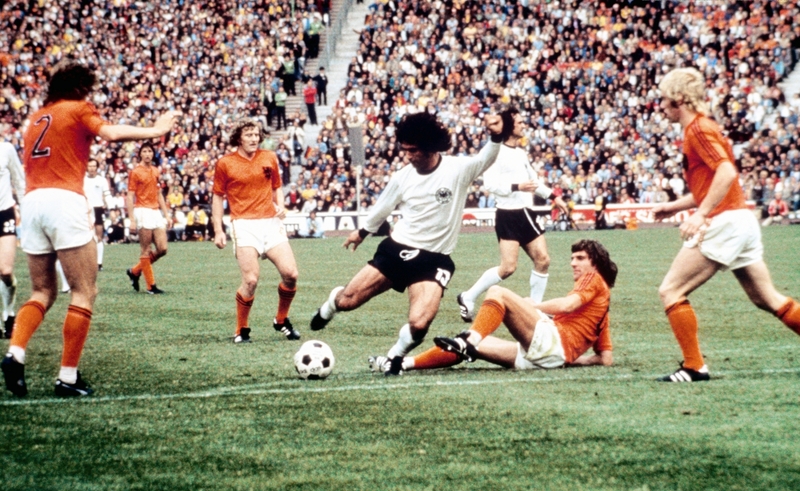 Gerd Müller struggled with minor knocks, while the side itself was jittery aside from Sepp Maier and Franz Beckenbauer. With every passing minute, Atlético’s confidence grew. Indeed, Miguel Reina’s imperious form in Europe was coming to the fore once again. The two goals conceded against Dinamo were by José Pacheco, maintaining Reina’s unblemished record. In the face of adversity, Atleti remained resolute. And then they struck. With mere seconds left for the whistle to blow, Atletico Madrid were 1-0 up in the 1974 European Cup final. With six minutes to go, Johnny Hansen brought down substitute Heraldo Bezerra, allowing Luis Aragonés to curl a free-kick over the wall and past Maier. Reina had just six minutes to shut out their opponents. It is difficult to maintain focus when on the cusp of glory, but it is that effort that makes the reward duly deserved. Bayern, though, found their equaliser against the odds, resuscitating their dreams from the brink of death. That the goal came via Bayern’s premier footsoldier added a degree of poignancy to the occasion. Bayern had Müller, Conny Torstensson and Uli Honeß, who’d scored 17 goals in the tournament between them, but they had to rely on a central defender to score their most crucial goal – and not captain Franz Beckenbauer but his loyal partner, Hans-George Schwarzenbeck. He was Der Kaiser’s unheralded compatriot – less refined but often as effective. He had endured a difficult game, like the majority of his team. Atlético’s José Garaté posed problems, and Schwarzenbeck had to rely on Beckenbauer to bail him out more than once. But the joy of football lies in the fine margins. With a minute to go, Bayern took a throw-in, with the ball finding Beckenbauer. He had two options: to adopt the desperate path and hoof the ball to Kapellmann in the box, or pass it to Schwarzenbeck, who was advancing into the Spanish half. For whatever reason, he chose the latter. Schwarzenbeck picked up the ball, advanced further and then struck from 30 yards out, the ball making it past 10 defenders and nestling into the goal. Reina was finally breached – and the whistle quickly blew. Lorenzo, Atlético’s manager, was quick to point out that Reina was offering his gloves to the Marca photographer behind his goal, a theory that has never been proven and one that Reina has vehemently denied. It didn’t matter – the game finished 1-1, resulting in the first and only replay in the tournament’s history. The replay was bound to be imbalanced. Schwarzenbeck had salvaged a draw, but he had secured a psychological victory that is much tougher to overcome, giving Die Roten all the momentum. It was not only in the shell-shocked Atlético minds where a loss was keenly felt, but in their bodies too. The majority of the side were aged over 30, and while they lasted 120 minutes, they would not last another 90 two days later. The replay was the antithesis of the first, as one-sided as its precursor was tense. Hoeneß and Müller grabbed a brace each, wrapping up a 4-0 win that failed to convey the drama of the two-act final. For Atlético, it was a cruel loss. Whether or not it was a just punishment for their antics against Celtic, there is no doubt that going out in such a fashion was heart-breaking. Their final was a wave of emotion, from steady expectation to rising hope and then instantaneous disappointment. What they didn’t know at the time, however, was that this was as good as it would get for a long time barring a fortuitous – and successful – lifting of the Intercontinental Cup later that year. In complete contrast, the victory would be the first of three on the trot for Bayern. It marked the beginning of their rise as a European power, breaking the German drought and creating a new superpower in the process. They triumphed 2-1 over Leeds in 1975, and then 1-0 over a brave Saint-Étienne in 1976. They might have made it four in 1977 too, leading Dynamo Kyiv by a goal in the quarter-finals. With seven minutes to go, however, Dynamo conjured up their own comeback, scoring two to send the defending champions home. Regardless of that, the nature of their achievement speaks for itself. Even as Udo Lattek was replaced by Dettmar Cramer in 1975, the consistency on the continental stage remained. The core of the Bayern side was a common strand across the three years, with the chemistry built translating into silverware. Their dominance lies in stark contrast to Atlético’s despair. 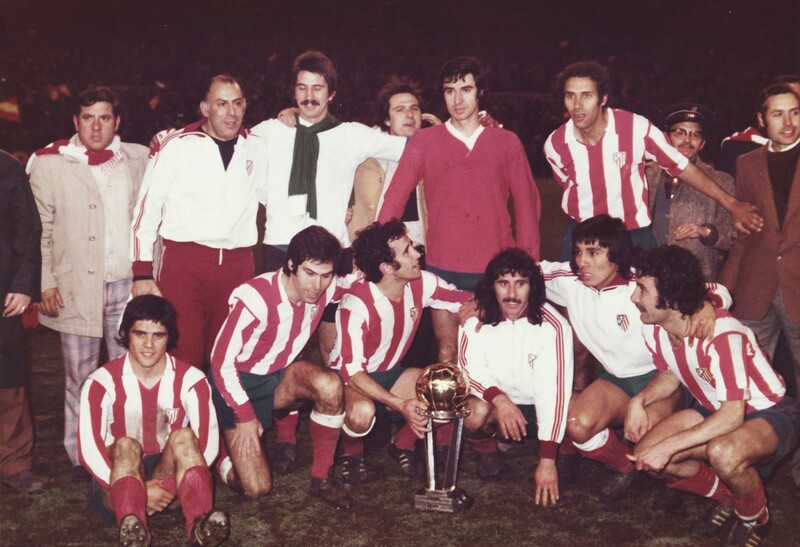 The Spaniards truly believed that Brussels was their moment; they had won three domestic titles in seven years prior to the defeat, while they had triumphed in the Copa del Rey four times since 1960. Add that to a couple of deep runs in Europe in previous years and they had the right to feel that fortune would favour them. But football is a cruel sport. They would only win the league once over the next 22 years – in 1977 – after which they made the 1977/78 European Cup. They eventually fell to Club Brugge in the quarter-finals where, despite a 2-0 loss away in the first leg, they came back to equalise twice, only to lose 4-3 on aggregate. They would not return until 1996, when they would be knocked out by a 119th-minute Ajax winner in the quarter-finals again. Atlético are known as El Pupas – The Cursed Ones – a moniker given by president Vicente Calderón after their defeat to Bayern. It came, for a long time, to symbolise the defeatist mentality amongst both the fans and various players in the club’s history after 1974. That changed, however, when Diego Simeone took charge, taking the concept of siege mentality to new levels and giving Atleti a positive identity once again. It’s a club reborn. The 1974 European Cup final was an occasion of rarity, and that may be why the result triggered such different outcomes for each team. It is not often that the effects of a single goal can transcend eras. For that, Hans-George Schwarzenbeck’s equaliser will live long in the memory – for both sets of fans. When Bayern drew Atlético in the knockout rounds in 2016, Thomas Müller knew his history. With an impish smile, he said, “Schwarzenbeck has to come with us to Madrid.” Revenge, though, was sweet – and four decades in the making – for Los Rojiblancos.